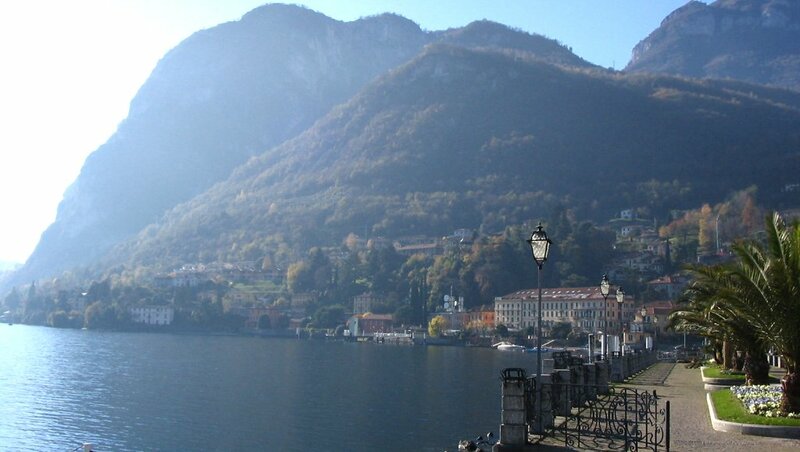 North of Tremezzo, after going through Cadenabbia, the Strada Regina reaches Menaggio. Follow the signs towards the centre and continue along the attractive lakeside road as far as the elegant Piazza Garibaldi. Menaggio boasts a magnificent position halfway along the western shores of the lake, with fine views across to Bellagio and the Grigne mountains. It's hardly surprising that Menaggio has been an acclaimed international tourist resort since the early 20th century, as testified by the golf club founded here by two gentlemen, Wyatt and Mylius, as early as 1906. Back in medieval times Menaggio was a fortified trading centre. Today little remains of the castle but the old town centre still has great charm: some of its buildings have decorative features that are centuries old. At the tourist information bureau in Piazza Garibaldi, they have a model showing what Menaggio looked like in the Middle Ages. The lakeside promenade is particularly attractive, and the views it offers are among the prettiest and most romantic of any spot on Lake Como.